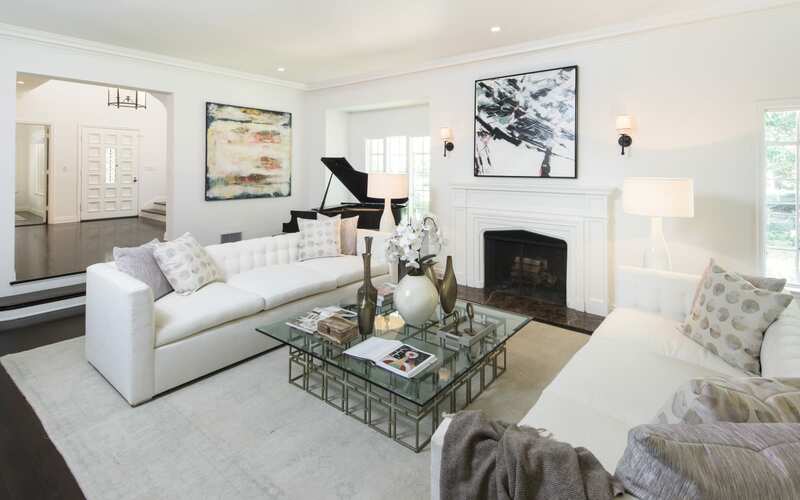 Thomas Glabman is thrilled to present 5225 W 2nd Street. 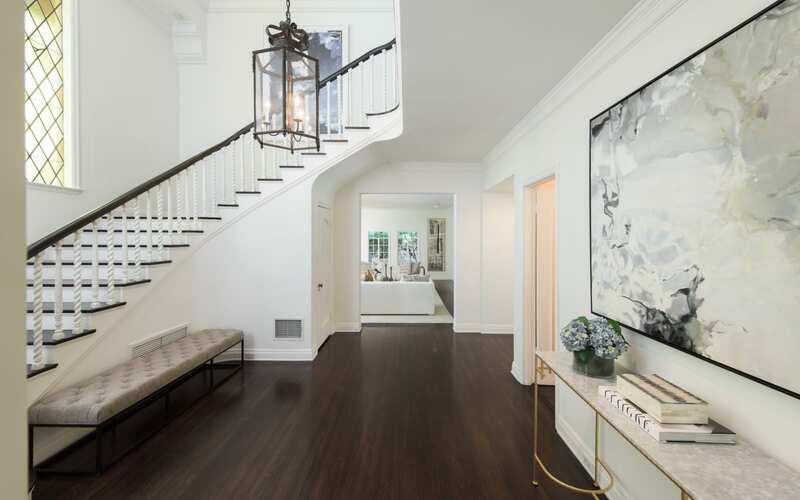 While this quintessential French Country estate is centrally located, this Hancock Park estate is also a rare refuge in the heart of the city. Making a stately impression with its verdant gardens and well-manicured grounds, the striking six bedroom estate is of the city’s most coveted locations. Enter through heavy wooden doors and into a grand two-story foyer from which all other rooms branch. The eye is immediately guided up the sweeping staircase and across the dazzling original stained glass window. Built in 1928, the light and airy home is noted for its beautifully planned floors, recent upgrades, high ceilings and generous volumes. With a view to the great living room and adjoining family room with dual fireplaces, you will notice windows looking onto greenscapes at every turn, even revealing a secret garden. The fluid floor plan was noticeably designed for comfort and intimacy, rendering the home an ideal space for entertaining. 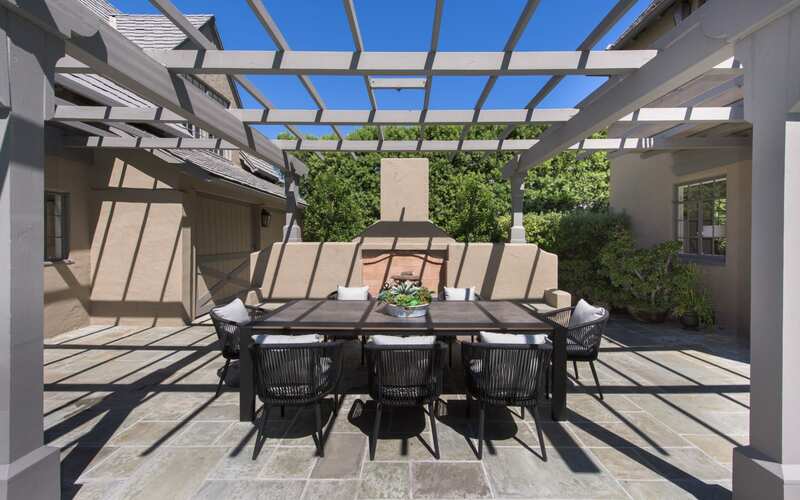 Step into the elegant formal dining room with large French doors and views of the private backyard. 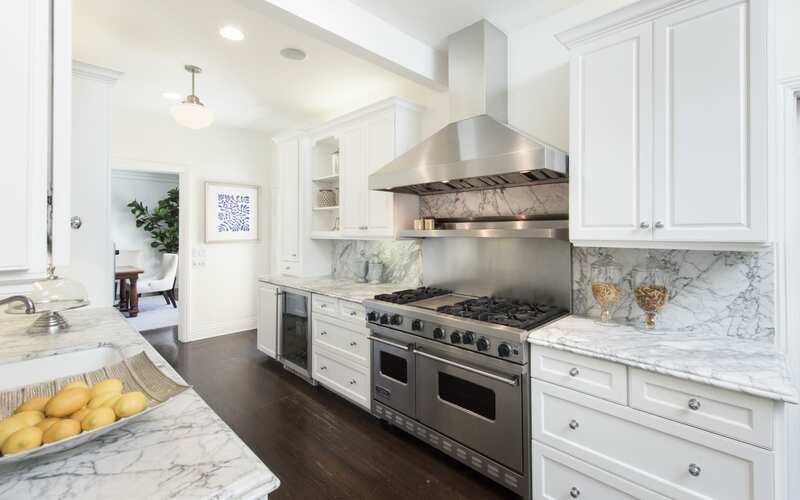 From top-of-the-line appliances to a butler’s pantry and a luxurious breakfast room, the chef’s kitchen is ready to serve even the most demanding chef. Upstairs, are four bedrooms, an office with a private balcony and a lavish master bedroom. 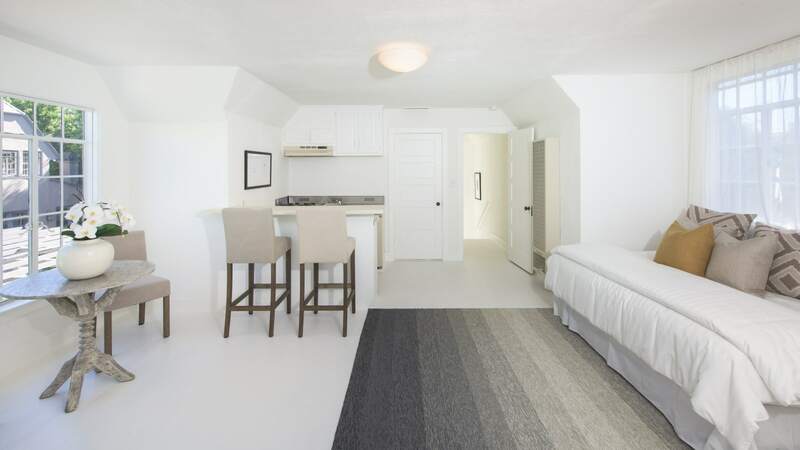 The master suite enjoys an abundance of light and a custom walk-in closet. The enormous ensuite bathroom is the real showstopper with its Thalassotherapy tub and spacious vanity area finished with fine marblework. 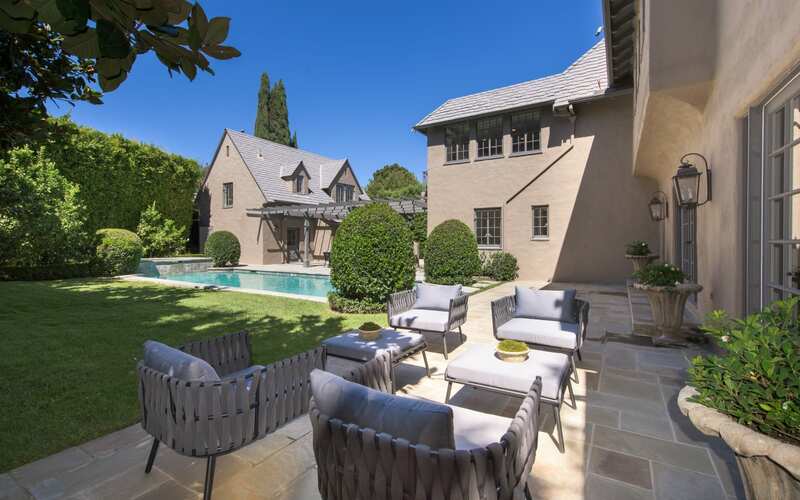 Outside, the impeccably landscaped property is enclosed by sculpted topiary, Magnolia trees, gardenias and tall hedges, emphasizing privacy, tranquility and seclusion. The sparkling saltwater pool with waterfall is flanked by both a sumptuous outdoor lounge and a pergola shading a romantic alfresco dining area with an outdoor fireplace. There is also a detached two-story guesthouse with its own kitchen, bathroom and changing room. Quietly tucked between Hudson Avenue and Hudson Place, the residence is the crown jewel of Hancock Park. Come home to an air of refinement each day. To learn more, CLICK HERE.